If the Portofino's standard front grille somehow isn't nice enough for you, Ferrari offers three alternate designs at a rather pricey $1,687. Buyers can choose to to have the grille's edges in shiny chrome or darker black chrome. For a different look, the entire piece can be black chrome, too. A fire extinguisher could potentially save a driver if something goes seriously wrong with the Portofino, but charging $1,097 for one seems outrageous. Porsche also offers a fire extinguisher for the 911 GT2 RS, and the company charges $140 for it, which seems like a bargain compared to Ferrari. Ferrari buyers looking to save a grand can get an extinguisher that comes packaged with the necessary mounting bracket for $60 on Amazon. Because of automotive regulations in the United States, the Portofino must come with a rear-facing camera, so this equipment is standard on the vehicle. However, adding a parking camera in front is a $6,075 upgrade. If your perception is so bad that help is necessary when pulling into a parking space, maybe a 591-horsepower (441-kilowatt) sports car isn't the right choice for you. At least in the United States, smoking is losing favor. 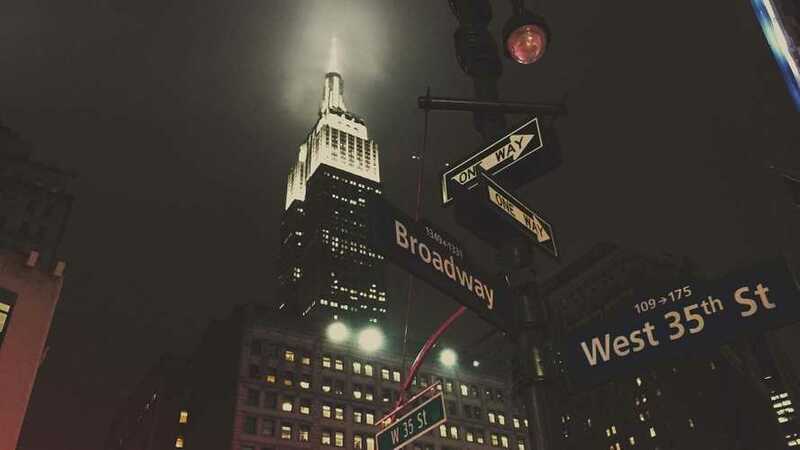 According to the Centers for Disease Control, 42.4 percent of American adults were smokers in 1965, and the figure fell to 15.5 percent as of 2016. 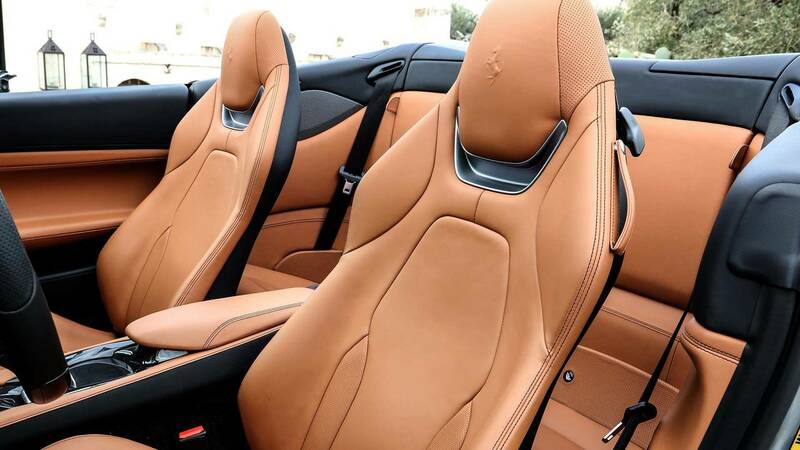 If you're still among the few people that like to puff on a cigarette, then the vice costs you $811 in the Portofino. This seems like a lot of money for equipment that doesn't equate to more than an ash tray or cigar lighter. 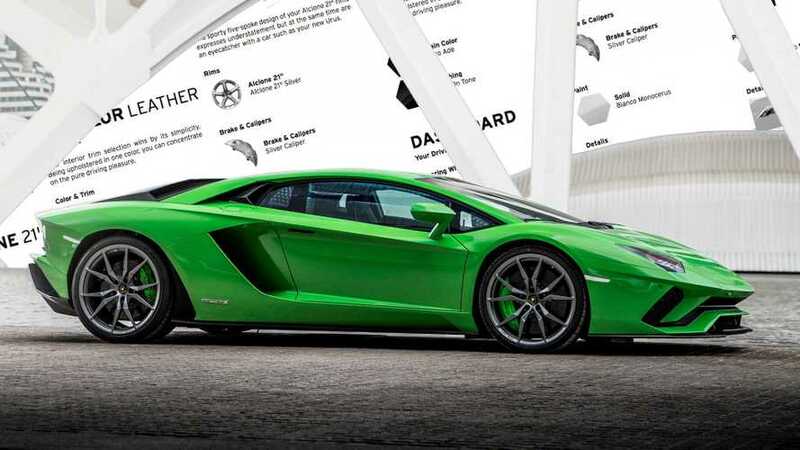 Want a coat of paint to give your brake calipers a pop of color? Prepare to pay $1,519 for the hue. The parts comes standard in black, but buyers can choose aluminum, gloss black, blue, silverstone grey, gold, red, rosso scuderia, or yellow. 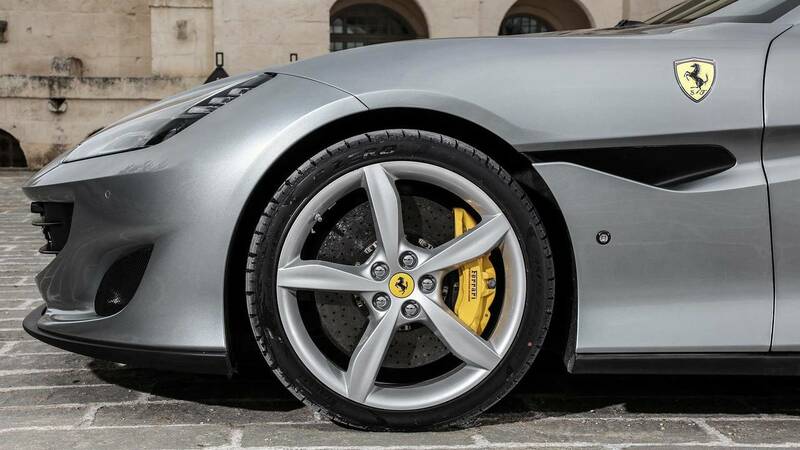 Ferrari likely makes quite a hefty profit whenever someone requests this coat of paint on a model's calipers. 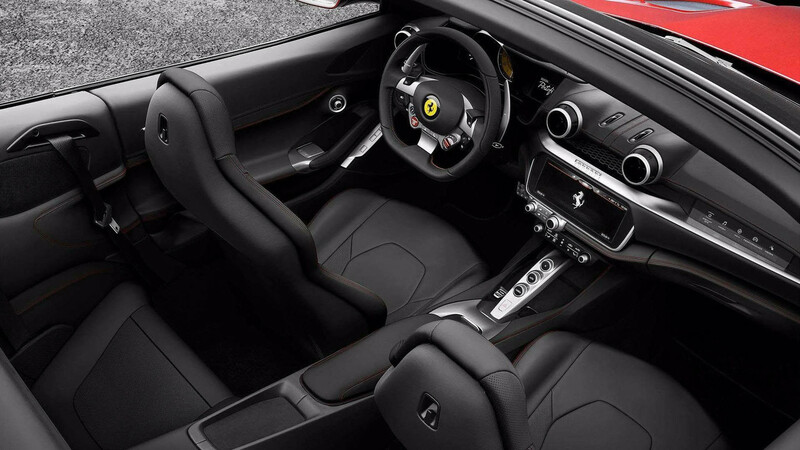 Ferrari's prancing horse logo already adorns quite of bit of real estate in the Portofino's cabin. If buyers want to add the stallions to the floor on the colored mats, then the luxury costs $1,350. It seems like a lot to pay for some mats with horses on them. 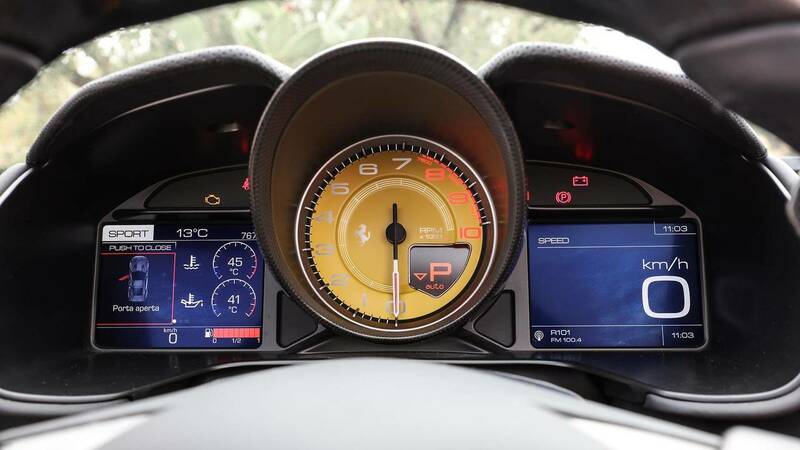 Like the yellow rev counter in this image? The sunflower color adds $776 to the Portofino's price. Alternatively, a red version carries the same cost. You can pay more, too. Ferrari also offers the rev counter in aluminum or white for $979. 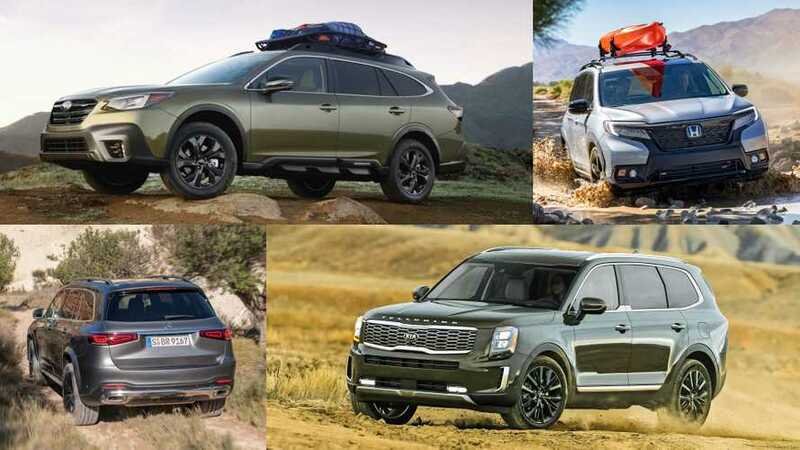 Vehicles generally either don't have a folding rear seat or, if they do, then being able to put the seatback down is a standard feature throughout the range. Not at Ferrari, though. 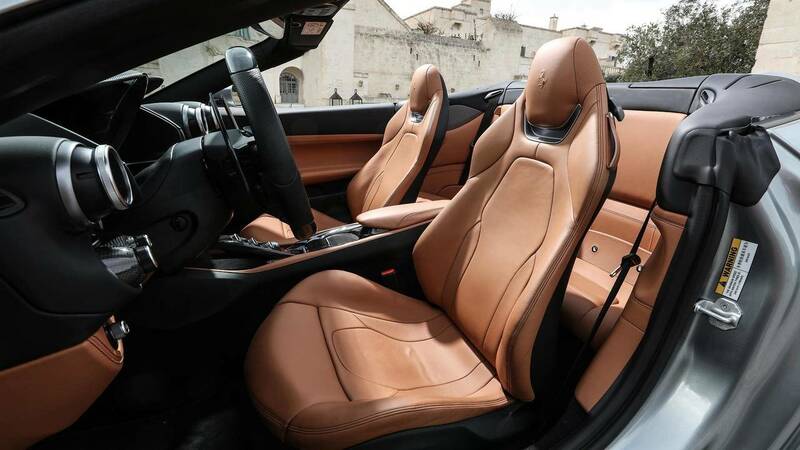 The company charges a hefty $1,687 for the luxury of being able to fold down the rear seat in the Portofino. 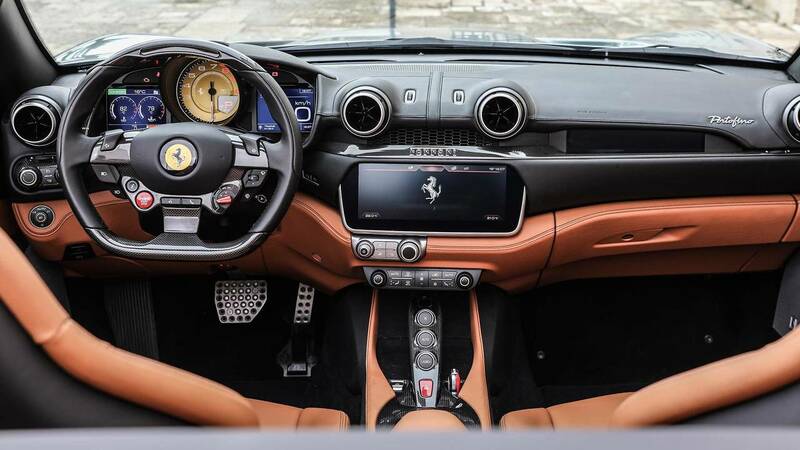 Ferrari offers a wide range of expensive carbon fiber accessories for the Portofino, but the cup holder carries the most shocking price among them. The cost of keeping your bottle of water in lightweight luxury is an astonishing $2,531. The price seems like a joke until you realize this isn't even Ferrari's most expensive cup holder in recent year. On the F12 Berlinetta, the Prancing Horse charged $3,533 for the carbon fiber part. 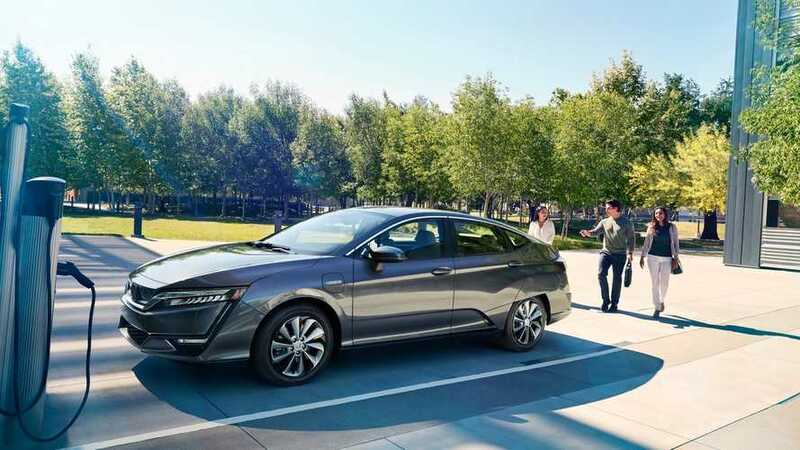 Buy a Honda Civic in the EX grade or better, and it comes standard with Apple CarPlay. 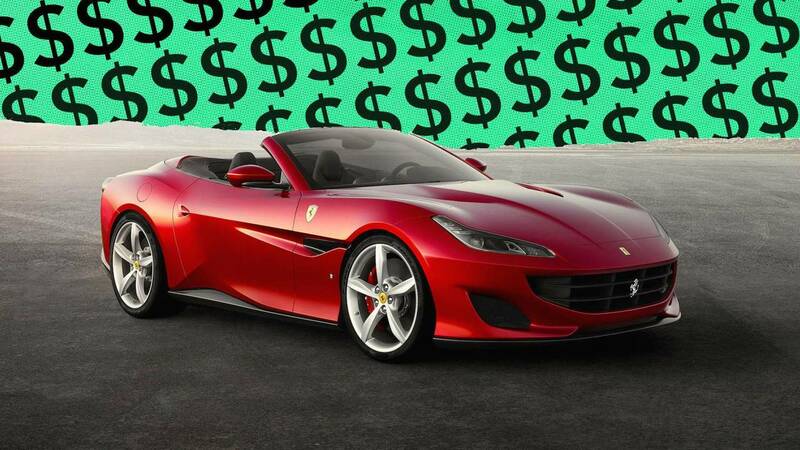 However, if you tick the option box on a new Portofino prepare to pay a jaw-dropping $4,219. The insane cost for some simple electronic code that's standard on many lesser vehicles, easily makes this the most egregiously priced option on the Portofino. 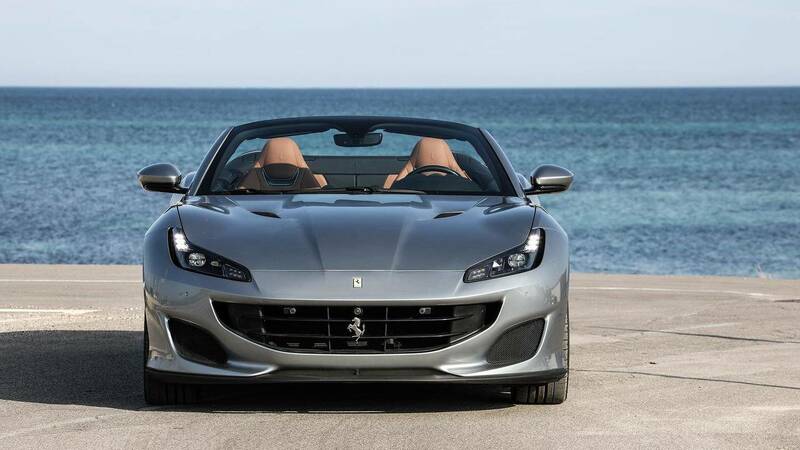 The Ferrari Portofino takes over the reins from the California T in the Prancing Horse's lineup to fill the role as a sporty roadster with a folding hardtop for year-round drivability and a tiny rear seat that allows for carrying more than two people in a pinch. 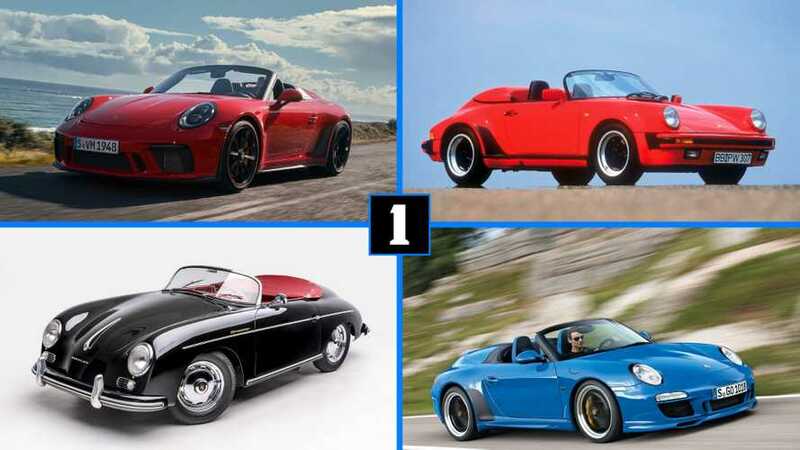 The firm has started taking orders for the droptop, and a user on Ferrari Chat got ahold of the full options list, including prices. 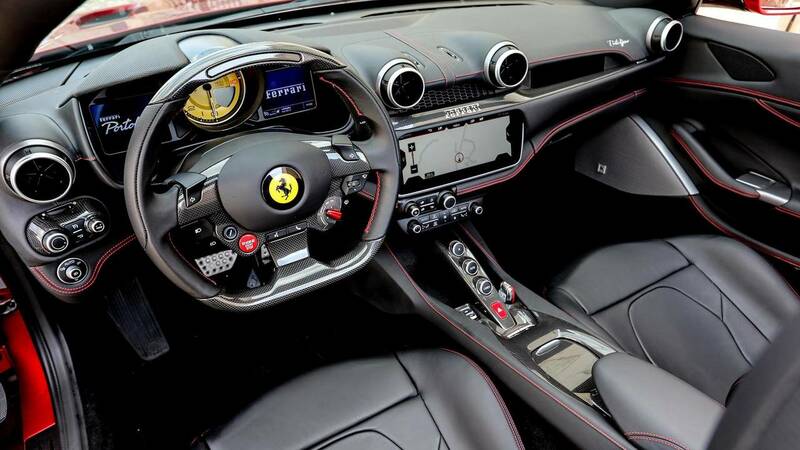 The money that Ferrari charges for some of these extras is absolutely astounding, especially when they are features like Apple CarPlay and folding seatbacks that are standard features on many everyday cars. Even minor accessories like floor mats cost over a thousand dollars. 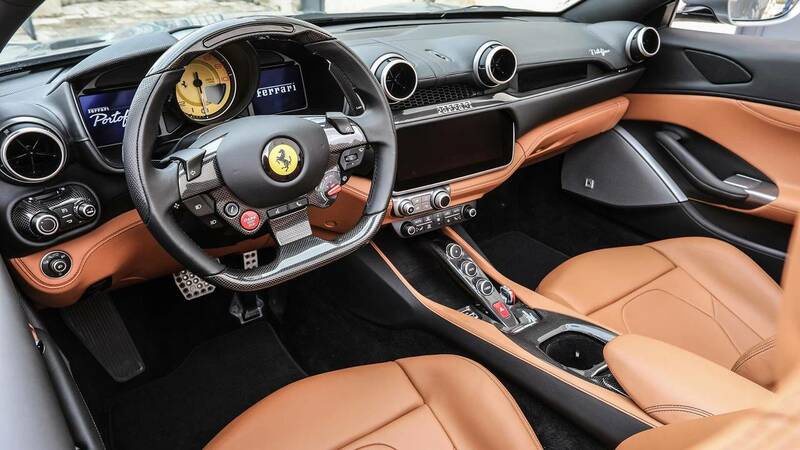 Click through the gallery to see the huge prices that Ferrari buyers pay for amenities in their new Portofino. 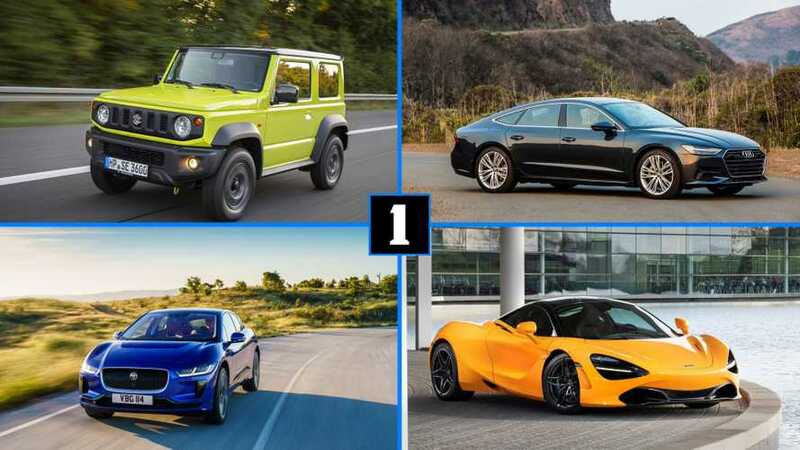 The list goes from the least to most egregious items, including a common infotainment feature that Ferrari charges $4,219 for. 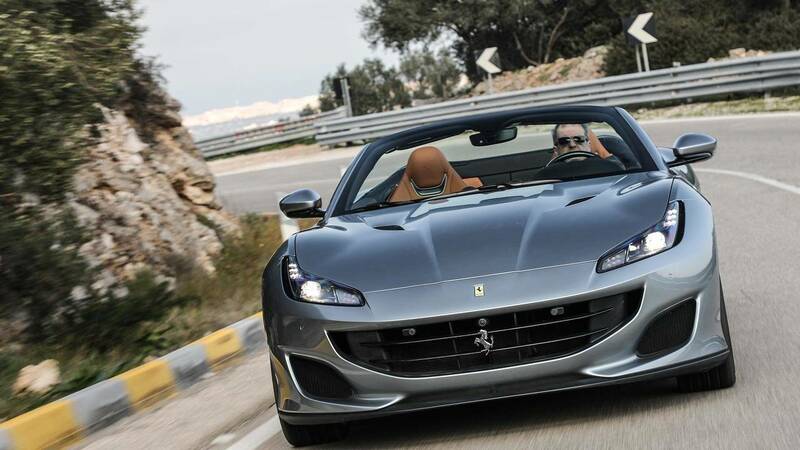 And check out what Ferrari owners themselves are saying about the Portofino at FerrariChat.com.